There is no record of a church here in Domesday, nor any evidence of Norman building in the present fabric. 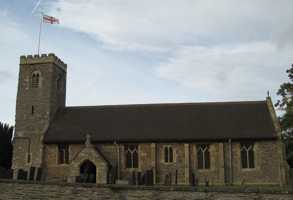 The church comprises an aisleless nave with south porch, chancel, and narrow, west tower. The earliest surviving portion of the building appears to be the tower which is entirely of the 13th century except for the later parapet. The nave and chancel were considerably restored in 1896 when much rebuilding took place, although a large portion of the medieval fabric, probably of the 14th century, still survives, especially on the north side. The south porch was rebuilt in 1724. Interior fittings are sparse, but the font, with its octagonal, concave profile, appears to date from the 14th century. Also of the 14th century are several windows, some renewed in the 1896 restoration. The chancel has a trefoil-headed piscina niche with a carved rose in the basin. The pulpit and tester are of 1636. Within the tower there is a 13th century blocked doorway, complete with apparently original wooden frame, which formerly led to an western gallery at 1st floor level. Unusually for this part of the country there is no tower arch, merely a simple doorway. There are monuments to the Fillingham family dating between 1796 and 1877, and the east window has stained glass by Kempe as a Fillingham memorial. 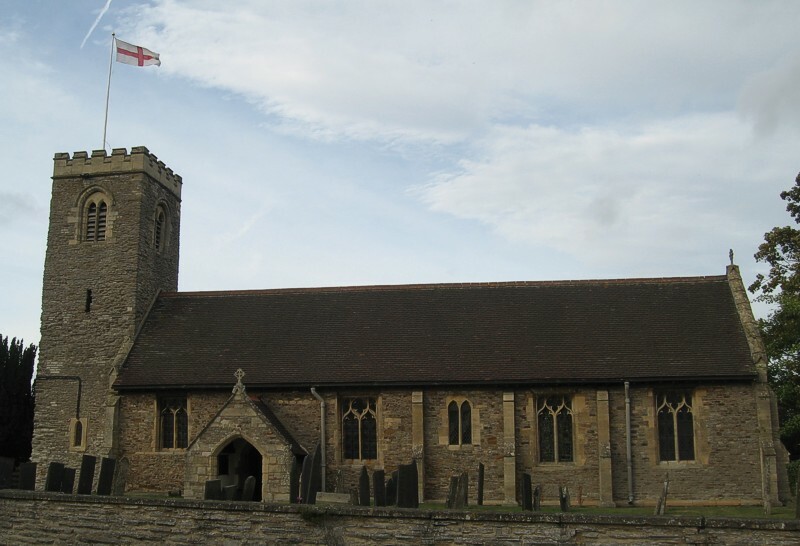 There are two bells in the tower, one is late 14th century by the Oldfield foundary of Nottingham, and the second is dated to c1512 and is likely to be the work of Richard II Seliok, also of Nottingham.